Many people are unaware of how common brain injuries can occur. Every day we deal with cases that need the immediate attention of a Miami brain injury lawyer. An attorney can protect the interests of victims who have suffered falls or traumatic events and lack legal advice to enforce their rights and receive the compensation they deserve. Our brain controls our body, our mood, our temperament, what we think, what we feel, nearly everything. It is a real tragedy to suffer a severe brain injury because it will affect you physically and psychologically and may lead you to circumstances that can limit your life both in the short and long term. If you, a family member or friend has suffered a traumatic brain injury, you can seek help and financial compensation to help you through this challenging time. The brain injury lawyers at Gallardo Law Firm are experts in this area of law and will work together with clients and family members to alleviate their pain and financial problems. Recovering from a brain injury can be very difficult since you need close medical attention, medical equipment, and personnel at your disposal. All this translates into an extended recovery during which you usually invest a lot of money to be able to recover promptly, and in some cases, you recover very slowly or do not recover at all. Unfortunately, a brain injury can lead to death and then it is the family and friends of the victim the ones who are left helpless emotionally and financially. We understand this is a difficult time for you, even more so when your loved one can’t recognize you. Although he or she is still alive, you feel you already lost them. Brain injury lawyers at Gallardo Law Firm are here to make your life easier and the emotional pain more bearable. At Gallardo Law Firm, our brain injury lawyers are kept up to date with all legal regulations and are prepared to show you how this type of injury could have been prevented if safety standards were followed by the companies or parties liable for the accident. Employers are responsible for protecting their employees at all times during working hours. Brain injury lawyers at Gallardo Law Firm have advisors, doctors, and an entire team to help you cover the whole legal process and make sure that there is not a single detail left to be addressed and presented in court. They will show how the events occurred, and the possible causes of brain damage. They will follow up doctor's visits related to the accident; medical treatment received, any therapies, and helps calculate the time you were unable to work. They will also help you recover your lost income, understand all the pain and suffering you and your family have experienced, and fight to the end so that you can receive the maximum compensation possible. Do you know how to recognize a brain injury? A brain injury affects the person emotionally, physically and also their behavior. A human being can be born with a brain injury, but he can even sustain a brain injury during his lifetime, after a trauma, an accident or illness has occurred. Depending on what caused it, a brain injury can be categorized as traumatic or non-traumatic. Car, motorcycle, and truck accidents. Falls, slips, and high-risk accidents. Combat injuries and explosive blasts. Sometimes we get cases of victims that suffered an accident and don’t find out about a brain injury until much later; because there are no bruises or external signs. Brain injury lawyers advise that if you experience any of the following symptoms, you should not delay to ask for medical help and call an attorney immediately. Lack of balance and coordination. Disorganized thinking or lacking the right words to say or express what you are feeling. If you have suffered an accident at work or a car accident and you are experiencing these symptoms, you should seek medical attention immediately. Time is of the essence; crucial to your health and also to the legal process of your case. Florida statutes and civil liability laws require certain legal aspects to be complied with to establish a claim. Brain injury attorneys at Gallardo Law Firm must prove each of the following elements, gather evidence, interview witnesses, and find essential documents to help them build an entire case so the victim can receive fair compensation. Commercial property owners have to inspect their facilities and fix any problems in them. In the event they do not have enough time to repair the problem, they must at least place a notice warning people about the issue. If this is not the case, the property owner will be held liable for the injuries sustained in his or her property. A company is responsible for injuries caused by a specific product if they designed or manufactured it and it is defective or unsafe for consumers to use. They are responsible for producing products with high quality, without imperfections and with the adequate warnings and instructions necessary for its use so that no one gets hurt, injured or sick. Physicians are obligated to provide quality professional care. If they don’t provide adequate treatment, or neglect a procedure essential to the health of the patient and as a result, the patient is injured, the doctor is held liable for such injury. Liability is determined between the company whose irresponsible behavior led to the accident, the conduct of the person involved in the crash and the injuries sustained. A defendant is only liable for the damages caused, and a person or company may be partially guilty if they are attributed only a percentage of the liability under Florida's comparative negligence statutes. When we refer to damages, we are talking about the victim losses as a result of the accident. A brain injury lawyer can explain in more details what type of compensation you are entitled to receive, including lost income, expenses related to the injury, and medical bills, missed work days or fewer days at work due to accident-related issues. But there are also non-economic damages, which are caused by physical and emotional distress. It involves pain and suffering associated with the brain injury and the losses the family may experience as a result of the victim’s condition. A person who has suffered a brain injury has up to 2 years to present their case, which starts on the date on which the individual sustained the damage. The statute of limitations is different for minors and some specific cases. A brain injury lawyer from Gallardo Law Firm will explain all the time restrictions that may apply to your particular situation so that you can file your claim promptly. A Miami brain injury lawyer can’t change the facts of the accident, heal or reverse the injury you already have, but the people responsible for the accident should pay for it, and what better way to accomplish this than hiring an attorney familiar with personal injury laws. You will have specific legal guidance, find out about your rights, and recover compensation for all the money used to pay for your medical bills and treatments. They will make sure you receive proper compensation for all the trauma and pain that you went through. Build a stable and robust case - From the beginning, an experienced lawyer will document all the necessary information. You will have all incident reports filed, police reports, witness statements, and medical records. The attorney will even anticipate arguments or situations that may happen during the legal process and in court. It is essential you fight for the highest compensation possible. Many people are unaware of all the damages or injuries they suffered until much later, and how they can be compensated for them. An experienced Miami brain injury lawyer will know what the best course of action is. Your attorney can seek maximum compensation for all your losses, whether physical, emotionally, or financially. It can be a challenging time in your life, and you need someone prepared to handle your situation by your side. It is the best way to recover from the economic and emotional costs of suffering. A brain injury lawyer knows the types of damages the victim sustained and the compensation he should demand in return. Did you know that you can get back the money you have spent on transportation used to go to different doctor appointments or receiving speech therapy or any other type of treatment used to treat your brain injury? Many people don’t know all these variants are available and may not get back the money that by law belongs to them. On the other hand, a brain injury lawyer will gather the evidence that proves all the damages caused and will defend your interests until a fair agreement is reached for you. At Gallardo Law Firm, a brain injury lawyer is entirely familiar with this type of traumatic brain injury and accidents. From the most common causes of the recovery process, one of the most crucial steps to take is proving who is at fault or responsible for the situation that led to a brain injury. Your brain injury lawyer in Miami can provide you with all the support you need by gathering all the necessary information. Attorneys are experienced and aggressive in matters of the law. Nobody can protect your rights and defend you like your attorney. He or she can prove that someone was negligent and that this negligence resulted in devastating injuries. 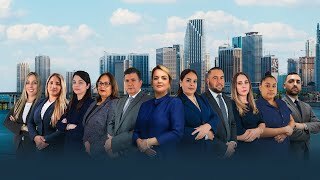 You can rest assured that if you or a family member seeks support from a Miami brain injury lawyer at Gallardo Law Firm, you will find the answers you need. Remember that your initial consultation is free of charge. Call us today, and you will not regret it. A traumatic brain injury usually results from a violent jolt on the head that may affect the cognitive functions of your brain. In such cases, you need a brain injury lawyer that knows what to do in this type of situation and how to protect your legal rights so that you receive fair compensation from the party responsible for your accident and traumatic brain injury. How many people suffer from TBI? It's hard to know exactly, but almost 1.7 million Americans suffer from traumatic brain injury every year. The most alarming statistics is that more than 52,000 people die from Type 1 TBI and approximately 125,000 are affected for a lifetime by Type 2 TBI. In any of these two cases, both victims and their families should ask our brain injury lawyers to assist them in alleviating some of the trauma associated with these injuries and help them improve the quality of life. What can cause a brain injury? The causes of TBI include slip and fall accidents, vehicle accidents, sports injuries, violence, and combat injuries. What are the costs associated with hiring a personal injury lawyer? The costs are based on the specifics of your case. Each case has unique elements and different aspects to consider. Brain injury lawyers, like all other attorneys, can reach an agreement with their clients. Our first consultation is free, so we always recommend that you come in person. If you want more information, check out our contingency fees article for our current fees. What type of legal claim can I file if I suffered a brain injury? Your claim is based on the circumstances of your brain injury. You can file a claim if you were involved in a traffic accident or if you fell and tripped, if you were assaulted or experienced an accident at work. If you were hospitalized due to malpractice or carelessness by the hospital responsible for the brain injury, you might also have grounds to file a claim. All these are situations that allow legal representation and demand compensation. When in doubt, remember that our first consultation is free of charge and Gallardo Law Firm’s experienced brain injury lawyers are always at your disposal. What are some of the benefits I can receive when an attorney represents me? Are my therapies covered? Will I receive financial compensation? It all depends on the severity of your injury and what you may need to recover. Of course, an excellent personal injury lawyer with the right information and experience can win your case and demand fair compensation. Some of the benefits a brain injury lawyer may seek on your behalf include: 1- Financial compensation to cover the costs of doctor appointments, treatments, therapies, and transportation. 2- Days of work missed and compensation for all the suffering caused not only to you but your family members as well. I had an accident several years ago. Can I still present my case? Time is an ally that should work in our favor. Although your accident happened some time ago, it doesn’t mean your case will be dismissed immediately. Sometimes some people find out about their injuries long after the accident occurred. To avoid this type of situation, it is always recommended that you seek medical attention immediately after the accident and call your attorney before submitting any statements that may compromise your case and ability to obtain just compensation. How do doctors diagnose someone with TBI? Doctors can diagnose a brain injury with the following tests: X-rays, Tomography, MRI, Vision and hearing tests, psychological assessment, and blood test. I suffered a brain injury while playing sports. Can I file a claim? Sports leagues, schools, coaches must all take the necessary precautions so that athletes are not injured. Our first consultation at Gallardo Law Firm is free of charge. We will study your case and determine the best course of action, whether you can file a claim and receive compensation. I slipped and fell while on someone's property. I hit my head and sustained severe injuries. Can I file a lawsuit? If the evidence shows that the property owner did not handle the situation that led to your accident correctly, our brain injury lawyers in Miami can help you file your case based on the laws that may apply to your specific situation.